History is decided by the person who wrote it. When reporting the same issue, different newspaper may have quite different voices. Here we take Bo Xilai’s case for example. Bo’s case was reported by almost every newspaper. I chose two representatives, one is Apple Daily issued in HK, and the other one is China Daily issued in the mainland China. The contrast is very apparent. 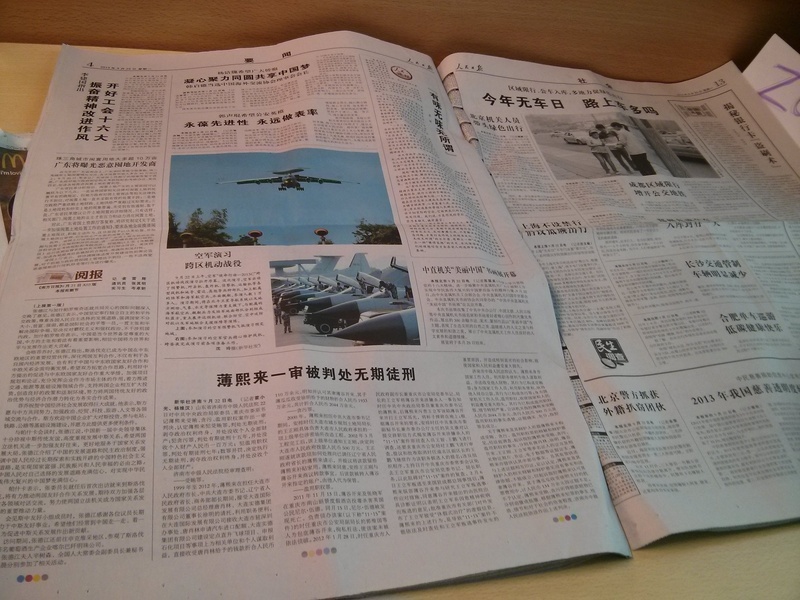 Taking up two whole pages, Apple Daily’s report is very eye-catching. 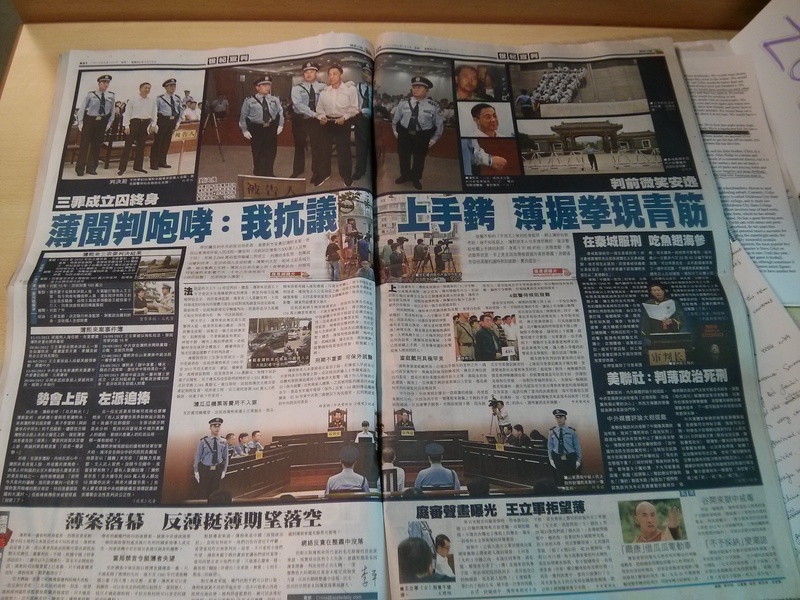 Apple Daily got its news from Reuters. It used a title with strong emotion: Bo roared after the life sentence. Several colorful photos are put on the head, including Bo’s facial expression before and after the sentence, the condition of the court, and the circumstance outside the court. The content of report is very complete, including the issue review, trial process, final judgment, and professional comments. Among the comments, there are some sensitive words from foreign media, such as political struggle, government’s control over the court and so on. Let’s shift our eyes to China Daily, which got its news from Xinhua News Agency. Hidden in a small corner, China Daily used only 1500 words to present this big event. It gave strong support to the court’s trial, and explained the three crimes conducted by Bo in detail. It is worth noting that China Daily did not mention Bo’s decision to appeal against his conviction. Since the second instance will not be conducted under public eyes, we can assume that China Daily want to use this method to conceal the fact. Besides the differences above, we can see that Apple Daily has a much more relaxed and open attitude towards this event. It not only discussed some serious and profound issues like the Democracy and legal system, but also paid its attention to some interesting details. For example, the phrase “not be accepted” appeared several times in Bo’s trial, leaving Bo’s allegation totally in vain. Many people thought it was unfair and ironical, and made jokes on it. The phrase soon became popular on the internet. We can learn something from this comparison. As readers, if we only listen to one voice, we will soon lose our independence and judgment. As the media, we should spare no efforts to protect the completeness and accuracy of an event. Truth will not unravel itself, only people with justice and patience deserve it.